- I was at the concert described in the piece and absolutely stunned at the fervor of his fandom. - Now that he has shed his beard, he has become a model for a very different kind of Ba’al Teshuvah, one who sheds all masks while returning to personal authenticity. I had never seen the singer in concert before and was excited that he would be coming to my home city of Stamford, a New York suburb turned corporate center that has attracted droves of young people with its revitalized downtown. The outdoor concert (which took place in Columbus Park, not the Town Center, as the article intimated, but I nitpick) was part of a popular weekly summer series. The Jewish community came out in droves, with the noticeable exception of the ultra-Orthodox, possibly because it took place during the Three Weeksand possibly also because of the artist’s mysterious recent transformation, his Yerida to beardlessness. I wondered whether he had been excommunicated to some corner of hell reserved forapikoroses, prime role models of Return that had somehow left that stereotypic fold. Had he become like Elisha ben Abuya, the Talmudic sage whose forays into religious doubt had turned him into the original Voldemort in his colleagues’ eyes, He-Who-Must-Not-be-Named? The Talmud simply calls Elisha “Aher,” the Other. Should the Jewish community be ashamed of Matusyahu for this Spinoza-like independent streak? We should be proud and he should be extolled. let my right hand forget what it’s supposed to do. And our children will play, one day. I turned to my college student son and asked, “Do his fans really know what they are singing about? Do they connect his music to Judaism?” He assured me that they do. Matisyahu, with or without the beard, is the best ambassador of Judaism to the younger generation that we have (with the possible exception of Natalie Portman), and he takes his role seriously. But without the beard, he is something more. He is real. The Beardless One still observes Shabbat and eats kosher. He sends his kids to Jewish schools. He honors his parents. And he prays, though not as consistently. But the Beardless One does things that the Ba’al Teshuvah could not do. His transformation communicates a passionate desire to continually grow and never to fall into stale patterns. He’s become the Jewish Madonna – oh wait, she’s Jewish too; OK, Lady Gaga – never allowing his physical appearance to BECOME him. He has forsaken dogmatic certainty and halachic purity for a pinch of doubt and a dose of theological humility, and these have brought him to a deeper, more spiritual and more authentic Jewish place – more authentic for himself and for his children. I was always suspicious that Matisyahu would veer toward fundamentalism, which, given his popularity, could have dangerous repercussions. But now he has forsaken the messianic for the messy and shed his 18th century Polish garb and the Brooklyn beard for the windblown blonde coif of a newly minted Californian. No doubt the facial hair will return, as he himself as promised. But that’s OK. He’s already shown us that Crown Heights is not necessarily the journey’s end for any Ba’al Teshuvah, and that the process of Teshuvah in fact never ends. It involves an eternal struggle with a tradition that is itself constantly evolving and with an elusive God who persistently refuses to be painted in anything other than infinite shades of gray. 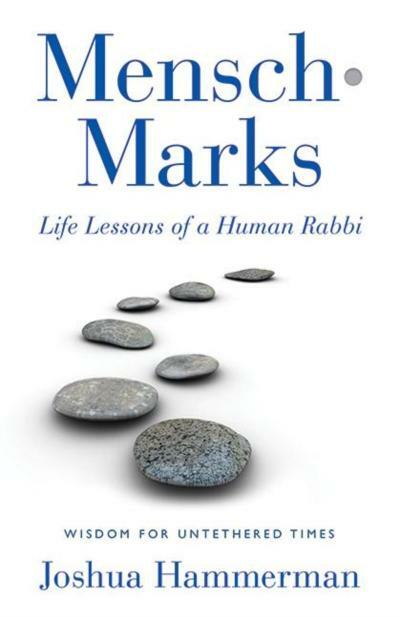 He is relatable, he is approachable and he communicates the message that there are many ways to be Jewish – and, equally important, that there many ways to LOOK authentically Jewish. Some might consider that heretical. I consider it heroic. Matisyahu, the Beardless One, is my rebbe.